My MIL's care home costs £100 a day for a reason. I do wonder, sometimes, what is the ACTUAL wage that would be need to be paid to professional care-workers to make it a profession with queues round the block to join it? 'If you pay them they will come'. What would I have had to be paid to provide care for my MIL? THAT, to me, is the brutal, brutal aspect of our Care Crisis. Who actually WANTS to care? Whether paid or unpaid. Maybe, if we look across at the thread on 'Living too Long', for my generation, as I flick over into the post-85 'very old' category of OAP, there simply won't BE anyone to care for me if I need care. And so maybe euthanasia WILL be the only option. Maybe society will have to engender some form of 'National Service' - a 'Call up for Carers' so that EVERYONE in the country will have to spend a year (two, however many folk it takes!) to provide the care for my generation until my 'post-war baby bulge' finally squeezes out of the population tube at the 'far end'. Actually, thinking about it, maybe a National Service to serve as carers would be a brilliant idea! For a start, it would be a HUGE warning to young folk not to 'end up' needing care themselves! I say as much to the young staff at my MIL's home. Make sure you stay fit physically and mentally, so that YOU never have to be here! I would welcome a proposal for all seeking careers in organisations attached to CarerLand ... including our own supporting organisations ... to have at least one month's experience ... attached to a variety of family / kinship carers ... BEFORE launching their careers. After all , how can anyone understand our predicament / plight WITHOUT direct first hand experience ? Being told about it ? Nothing worse than non carers governing our lives ... period ! As for the continuing care home debacle , short of former family carers taking over ... a new form of co-operative / mutual aid system ... independent of both the LAs and the private sector ... nothing on the horizon to even suggest that things are going to improve. In fact , probably worsen before someone out there cries ... " Enough , really is too much ! " ... and be echoed across all sections of both Houses. As it stands , the RSPCA offer better care to animals than some of the " Care " homes out there. Wallingford care home residents " Slapped and verbally abused. " Three former care home employees ill-treated and neglected residents including taunting one with dementia about eating a pet, a court has heard. 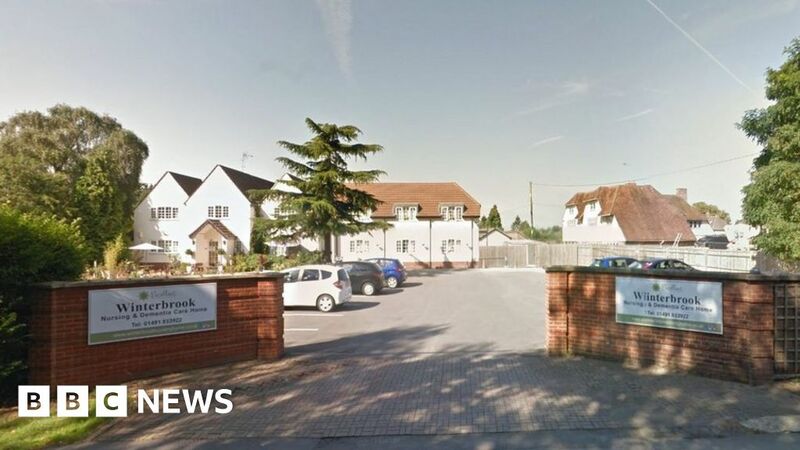 Residents were allegedly refused access to the toilet, slapped and verbally abused at Winterbrook Nursing Home in Oxfordshire between 2015 and 2017. The woman with dementia was told by one defendant she had eaten her imaginary budgie, Oxford Crown Court heard. Prosecutor Kim Preston said residents were "humiliated" and "distressed" and the former employees were "a law unto themselves". Looks nice and inviting ... from the outside ? It's not just care homes, it's social workers too. My son was brain damaged at birth, nearly 40 years ago. Under the same area team since he was 18, and transferred from the Children's Team in the same area. Why am I explaining to supposedly "qualified" social workers about brain damage, why it affects some areas, not others, leaving a Jekyll and Hyde effect (only in his case the 3year old M and the 39 year old M are just as nice, fortunately). Social workers , BB ? Rotherham is yet another massive failure by our social workers. Warnings from local youth workers had been ignored for years. What might have merited rather more coverage, however, was the terrifying part played by the social workers in Rotherham, who had been ignoring warnings from local “youth workers” since 2002. Casey describes how these workers seemed interested only in abuse allegedly taking place within families in the town. They were not concerned by the far worse crimes perpetrated on 1,400 girls by gangs of outsiders. Elderly residents forced to move out as Bath care home shuts down. The home was rated 'inadequate' for all five areas in its latest Care Quality Commission inspection. Nottingham care home inquiry reveals 343 cases of child sexual abuse. A "rift" between social services and police led to a crisis in child protection and hundreds of survivors being let down. Abbey House care home put in special measures after damning CQC report. A CARE home for people with dementia in Blunsdon has been placed in special measures after a damning report. Rhu, Shandon and Cardross homes under investigation by child abuse inquiry. THREE former children's institutions in Helensburgh and Lomond are to be the focus of investigations by the Scottish Child Abuse Inquiry. A “for sale” sign has been hoisted over Four Seasons as fears grow for the future of Britain’s biggest care homes operator. The US hedge fund H/2 Capital Partners, which is in effective control of the group, has put Four Seasons up for sale and swept aside the company’s senior management, installing Margaret Ford and Mark Ordan to the board of directors. It comes after the care homes giant, which is still nominally owned by Guy Hands’ private equity vehicle Terra Firma, failed to pay off a portion of debt owed to H/2. As its principal creditor, the American hedge fund, run by Spencer Haber, holds sway over the firm’s assets and controls the group. “These changes have been made in furtherance of an independent sales process and facilitate such a process taking place,” Four Seasons said on Monday, adding that a “transparent arm’s length sales process for the sale of all or substantially all of the assets of the group” is under way. The move throws into doubt Four Seasons’ long-term future amid worries over its financial performance. It has been stung by a cut in local authority fees, rising costs and the introduction of the “national living wage”, and the group has continuously warned over its long-term stability. On top of this, Four Seasons is struggling under a £500m-plus mountain of debt, which is controlled by H/2 and other bondholders, who are also thought to have sanctioned the sale. H/2, which has been attempting to restructure the business, has previously said it stands ready to take control of the care homes group with Lady Ford, the former chairman of rival Barchester, lined up to chair the company. Sources inside Four Seasons insisted that there would be no impact on the day-to-day running of homes as a result of the sale process. As part of the shake-up, Ben Taberner, Claire Royston and Tim Hammond – Four Seasons’ finance chief, medical director and chief executive respectively – have been removed from the board but remain in place to carry out day-to-day duties. Four Seasons houses 17,000 elderly residents across 343 homes. Terra Firma bought the business for £825m in 2012 and has been forced to stomach a £450m write-down on its investment. Mmmm ... the taxpayers ... if no takers , and said company to be placed into receivership / administration and subsequently liquidated ? Possible handy tax loss amongst the debris. Private capital always finds a better home ... unlike the residents ?